Community Nursing continues to be a familiar and friendly sight to those in the local community. Community Nursing in Ararat and Willaura has been successful in achieving aims of maintaining clients in their home environment, often eliminating the need for a hospital admission. Our team provide a coordinated and person centred approach to our community clients’ needs. We have an experienced and diverse team, with specialist nurses who have undertaken post graduate studies in wound management, stomal therapy, case management, continence, palliative care, asthma education, oncology and diabetes management. 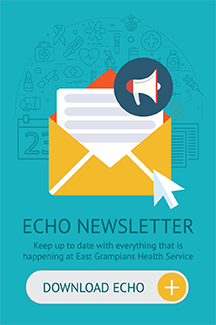 Fees charged at EGHS Community Nursing are charged in-line with Home and Community Care Fees Policy. For more information on any of the above services, or to discuss your individual needs please contact the EGHS Community Nursing on 5352 9328 during office hours.